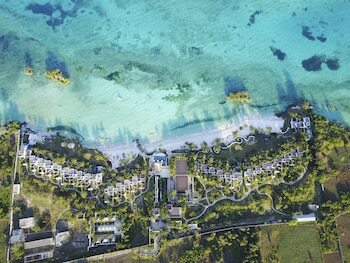 Expedia has some Stone Town packages waiting for you. 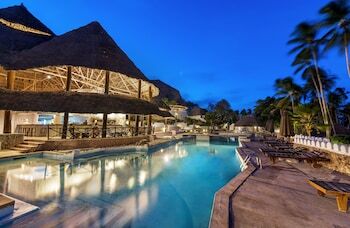 Combining your flights and accommodations is one of the simplest ways to save cash on your upcoming holiday. With more than 400 partner airlines and 321,000 properties worldwide available to you on our global database, you'll be jetting off on your holiday in no time! Not sure about your booking? There are no extra charges from us if you change almost any reservation. There are stacks of amazing things you can do when you're in a new destination. 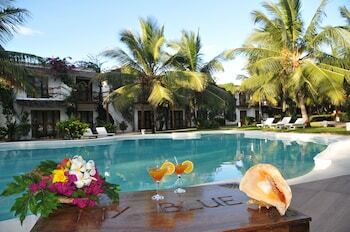 So why not get your trip to Stone Town off to the perfect start by checking out some of our suggestions? After all – out there starts here! They say that history is the best teacher. Step back into the past for a lesson at Slave Market. There's an excellent range of things to do in this destination. Try to picture the fighters who were once tasked with safeguarding Old Fort. The force of past combats can still be found on its walls. Still have some time to spare? If you're interested in discovering the local area's history through its buildings, put House of Wonders on your must-see list. Make sure you stop and read any plaques or signs which tell the intriguing tales behind it. Travelling isn't just about famous destinations and chic hotels. It's about the experiences you embrace and the incredible memories you collect along the way! 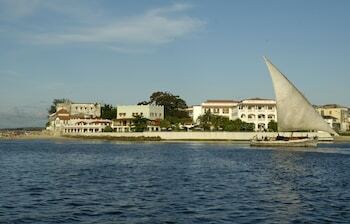 For more options, go to our Stone Town things to do page. 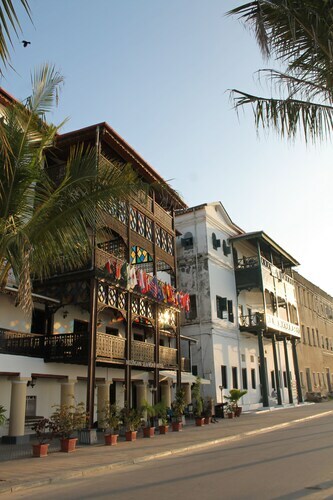 In Stone Town, you'll find no less than 24 Expedia places to stay. Book right now for the greatest cheap holidays and luxury getaways. Contemplating where to spend your nights? Just keep in mind — cheap doesn't have to mean dust under the bed and old-fashioned linen! You can find clean, budget options such as the House of Spices (Kiponda Street) and The Market Lodge (Mtendeni, Mchangani, Buyuni). 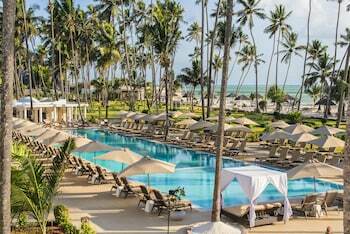 However, if it's been ages since you treated yourself to some luxury, the Park Hyatt Zanzibar (Shangani Street) and the Zanzibar Serena Hotel (Kelele Square) have rooms with all those special little extras. Let's face it, no one loves hanging around at the airport. However, if you start to imagine the unforgettable trip to Stone Town that's just a flight away, you should be able to manage. After all, you'll be only 50 miles (80 km) to the south of your destination when the plane comes in to land at Julius Nyerere International Airport (DAR). An Anglican cathedral now stands on this site where slaves once suffered before being sold into harsh servitude. Browse the stalls of the courtyard market and attend festivals in the amphitheater in the oldest site in the historic center. 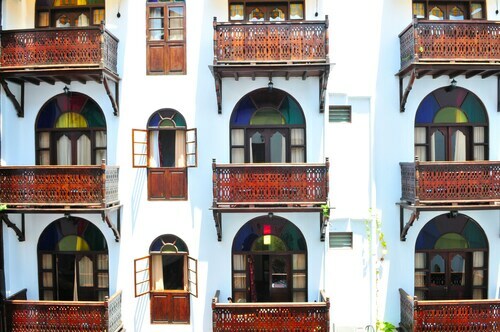 See one of the early buildings of Zanzibar’s modern development, with wide verandas overlooking the ocean and relics from the late 1800s. Admire the coral stone design and see the museum and memorial of this church that was built to celebrate the end of slavery. Relax in this scenic tree-filled oceanside park that transforms into a lively and busy seafood market after the sun goes down. Located in Stone Town, this beachfront hotel is in the historical district and within a 5-minute walk of Shangani Beach, Old Fort and Forodhani Gardens. House of Wonders and Christ Church Cathedral are also within 15 minutes. 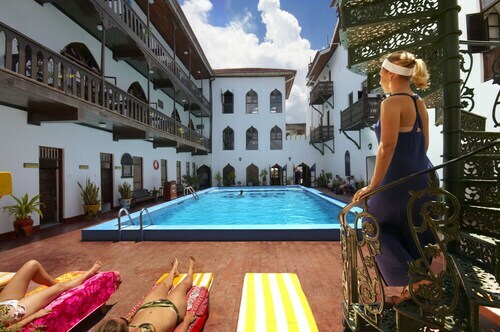 This family-friendly Zanzibar Town hotel is located on the waterfront, within a 10-minute walk of Zanzibar Ferry Terminal and Shangani Beach. Nakupenda Beach is 1.7 mi (2.7 km) away. Located in Stone Town, this beachfront hotel is in the city centre, just steps away from Old Fort and Shangani Beach. Nakupenda Beach is 2 mi (3.3 km) away. 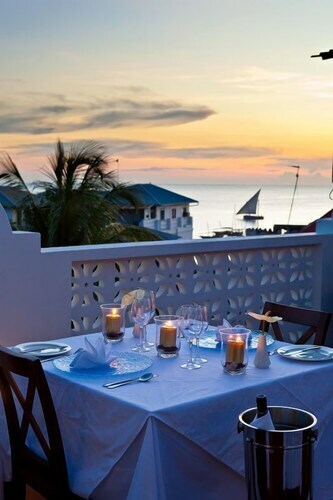 Located in Stone Town, this hotel is within 1 mi (2 km) of Old Fort and Shangani Beach. Nakupenda Beach is 2.1 mi (3.4 km) away. 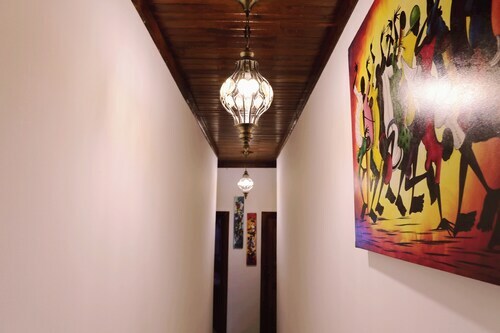 Located in Stone Town, this luxury guesthouse is within a 5-minute walk of Hamamni Persian Baths and Shangani Beach. Nakupenda Beach is 2.1 mi (3.4 km) away. Located in Stone Town, this hotel is within a 5-minute walk of Shangani Beach, Old Fort and Forodhani Gardens. Christ Church Cathedral and Prison Island are also within 1 mi (2 km). 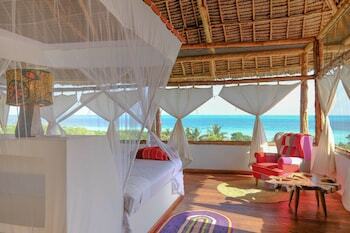 Nestled on the beach, this Stone Town hotel is within 1 mi (2 km) of Old Fort and Shangani Beach. Nakupenda Beach is 2 mi (3.3 km) away. 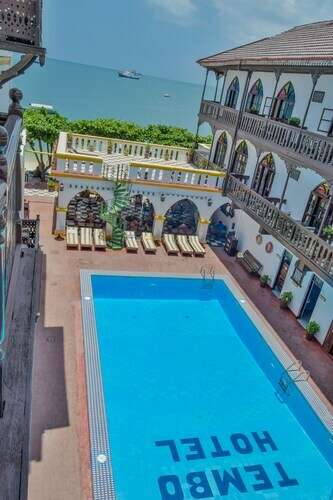 Located in Stone Town, this hotel is within 1 mi (2 km) of Old Fort and Shangani Beach. Nakupenda Beach is 2.1 mi (3.3 km) away. Glasgow Intl. - Zanzibar Intl. 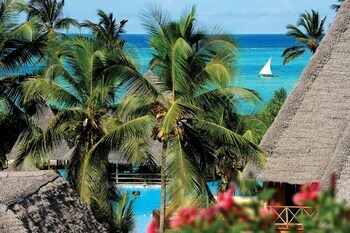 LON-All Airports - Zanzibar Intl.